With the ongoing crisis in Syria due to the Assad regime’s violent, military suppression of that country’s democratic protesters and the response of the Free Syrian Army battling with the crumbling Syrian armed forces, the collateral damage comes in the destruction of communities and the creation of tens of thousands of refugees. This is a refugee movement in a region which already has huge refugee populations and host nations that are unwilling and unhappy hosts. Somewhere between 10,000 and 19,000 Syrians have been killed since the uprising against the Assad regime started a little more than a year ago. As many as a half million Syrians are now refugees in Turkey, Lebanon, and Jordan. 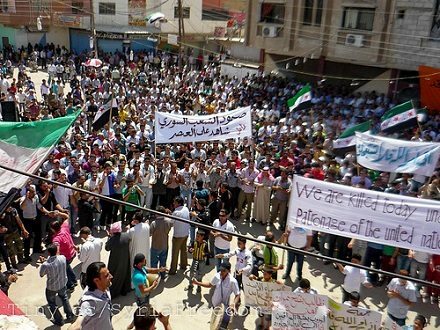 The Assad regime is dominated by Alawites, while the protesters are largely Sunnis, which may explain why businessmen and philanthropists in the Sunni kingdom of Saudi Arabia have been funneling aid to Syrian refugees. The Saudi Red Crescent has been providing food and housing to Syrian refugees in Lebanon and last month distributed food supplies donated by Saudis to Syrian refugees in Jordan. A number of Qatari and Omani charities have also announced efforts to assist refugees. Last week, King Abdullah announced a fundraising effort to help Syrians displaced by the violence and donated $5.33 million to start the fund. Crown Prince Salman, the nation’s deputy premier and defense minister, added roughly $2.6 million in response to King Abdullah. After raising $332.5 million in the first day of fundraising, the campaign succeeded in raising over $72 million by the end of last week, according to Saudi Interior Minister Prince Ahmed bin Abdul Aziz. Because the U.S. response to the Syrian conflict has been much more tepid than it was to the Tahrir Square uprising in Cairo and the war to unseat Qaddafi in Libya, we are curious to learn whether the U.S. difficulties in grappling with Assad have had a different impact on fundraising for Syrian issues and needs. We also would remind readers that the needs of charities in Syria are not just questions of humanitarian relief. In a country which has historically been unkind to political dissent and is currently doing its utmost to prevent on-site news coverage, there is a need for giving to support the charities that are trying to tell the truth, whatever it might be, about what is happening on the ground in Damascus, Aleppo, and Homs. For example, the organization War Child has been documenting charges that both sides of the conflict have targeted children. An organization called the Syrian Support Group reports that it has received U.S. Treasury approval to raise funds in support of the Free Syrian Army. Nonetheless, even humanitarian aid efforts can be tricky, not just with the Syrians, but with the charities’ home countries. For example, in Qatar, which is a Sunni ally of the opponents of the Assad regime, one charity, the Sheikh Eid bin Muhammad al-Thani Charity Trust, got into trouble in a recent fundraising event when some speakers talking about the plight of Syrians gave strongly worded speeches against the Syrian government and children sang “Down with Bashir al-Assad,” happenings that the charity defended as having occurred extemporaneously. One of the more prominent charities working with Syrian refugees is the Al Kitab and Sunna Society. Reports suggest that, with funding from an anonymous donor, Al Kitab and Sunna is working with the Jordan Hashemite Charity Organization to open a second refugee camp in Jordan for displaced Syrians, but the numbers are small—100 trailers capable of accommodating 600 refugees. Zayed Hamad, the head of Al Kitab and Sunna, called on “all concerned parties” to develop a shared database for the coordination of the delivery of services, especially donated in-kind product, to Syrians in Jordan.